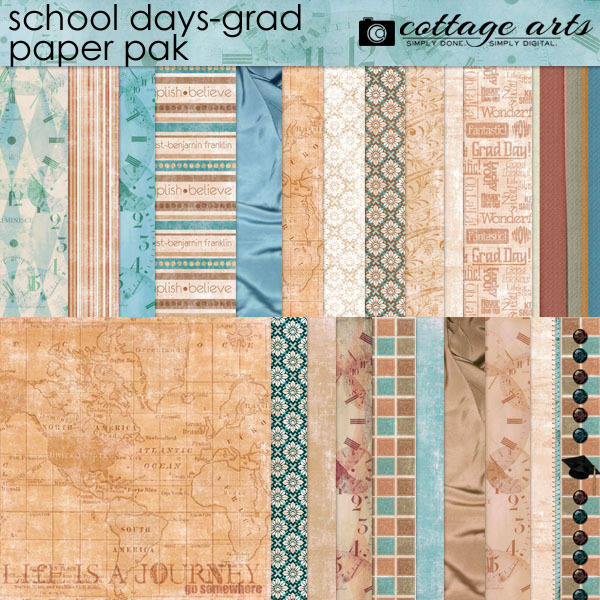 Check out our coordinating element, journal, and alphaset paks! 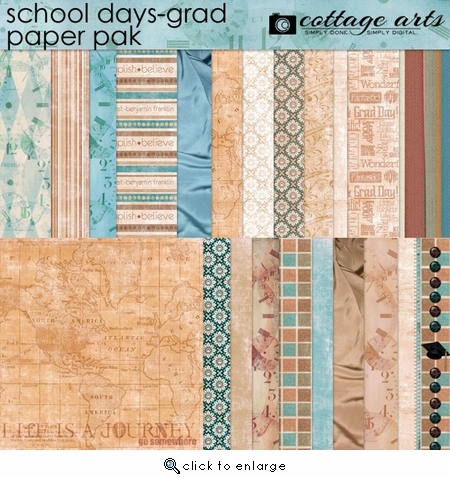 Celebrate graduations, teen years, retirement, or anything adventurous or masculine with 22 - 12x12 richly textured papers. Coordinates with our School Days - Grad Collection. 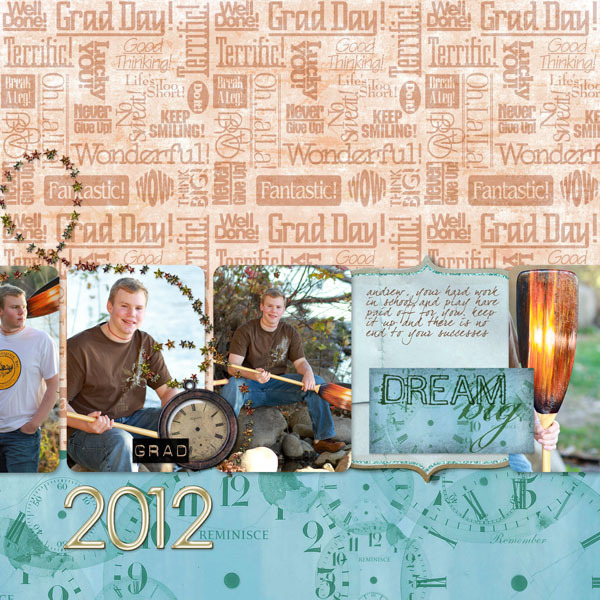 Great for High School and College graduation parties or commencement layouts!